We've all had one of those delicious, creamy, perfectly blended beverages from our favorite coffee shop. 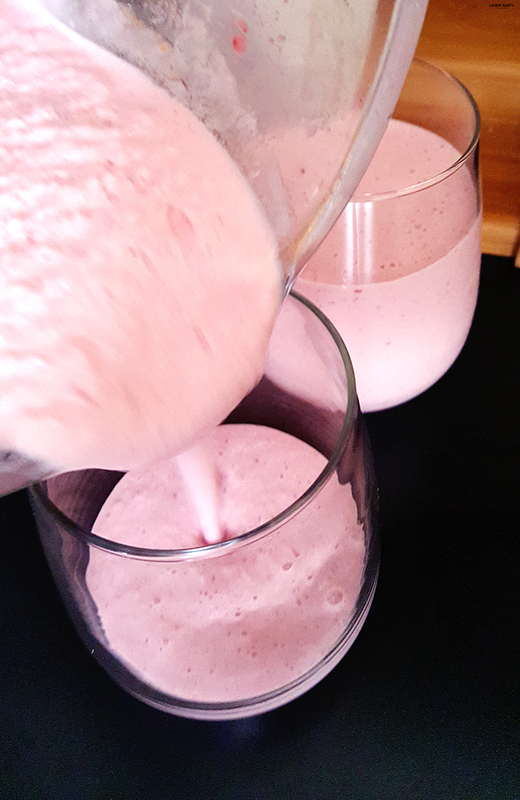 You know the type I'm talking about, the kind that make your mouth water from the smooth and sweet goodness... The type of drink that adds a little pep in your step because of the double shot of espresso mixed in with your favorite sugary treats... The type of drink that leaves you craving another one. 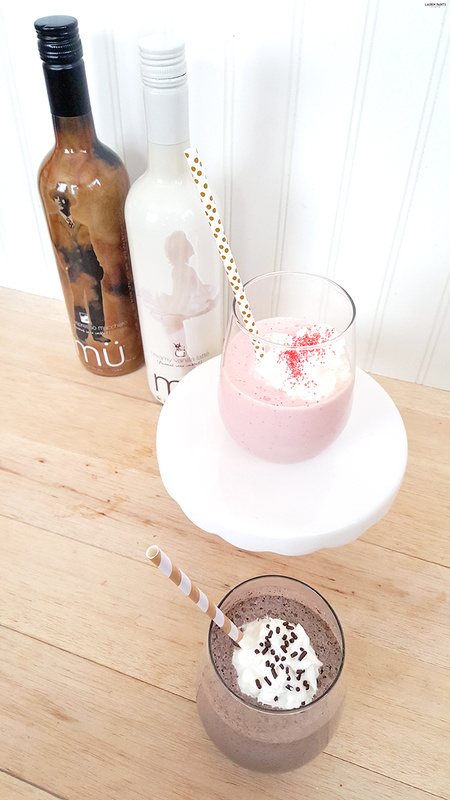 Well, today I'm sharing not just one, but two recipes for those ridiculously good drinks. 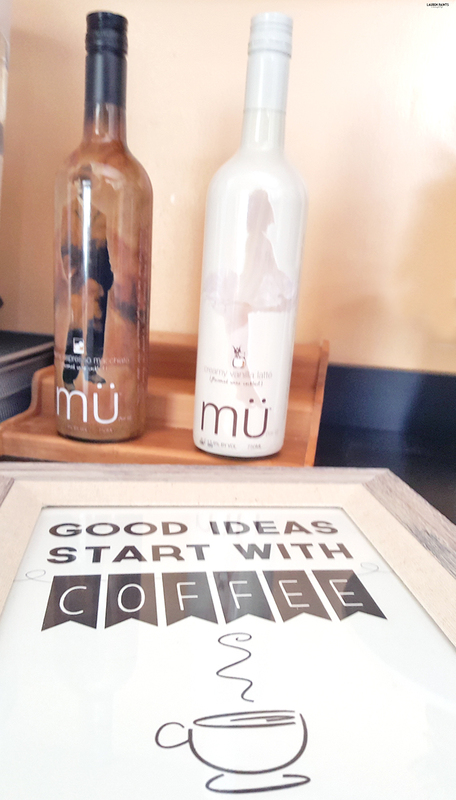 But here's the twist, these drinks are for adults only with my new favorite addition to my coffee bar area, mü coffeehouse cocktails. 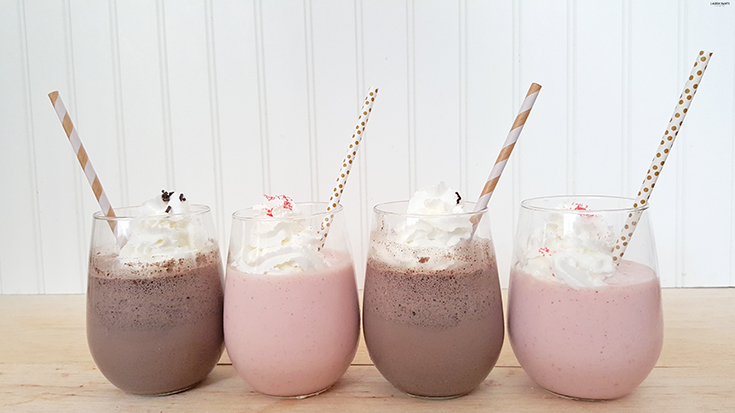 While these drinks are tasty with or without the booze, who says no to a little "cocktail" addition to their coffee around the holidays? Not I! Are you ready to have one (or two) of these delicious coffee house inspired cocktails? Follow the recipes below and start sipping! 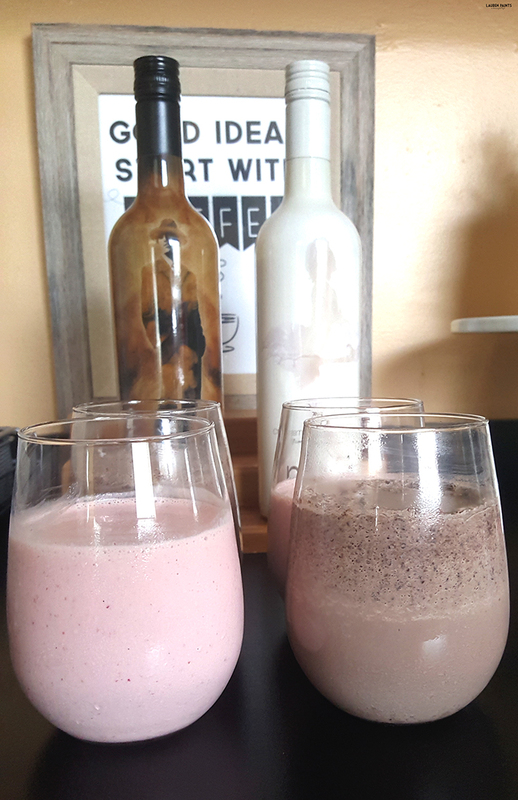 Both of these recipes are so easy to make, but we'll work on the strawberries & cream cocktail first - you'll start by mixing the strawberries and about 1/4 cup milk in the blender. Next add in the ice. 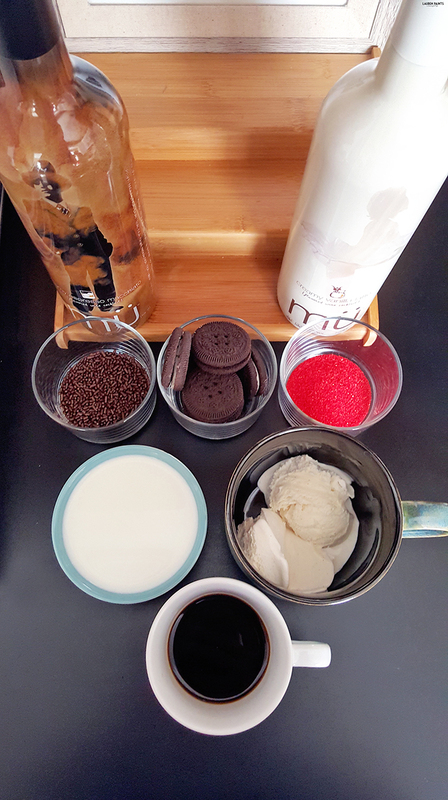 Blend until smooth and add in remaining ingredients, adding in the mü coffeehouse cocktails Creamy Vanilla Latte last. Place in freezer for a few minutes if you plan on making both cocktails! 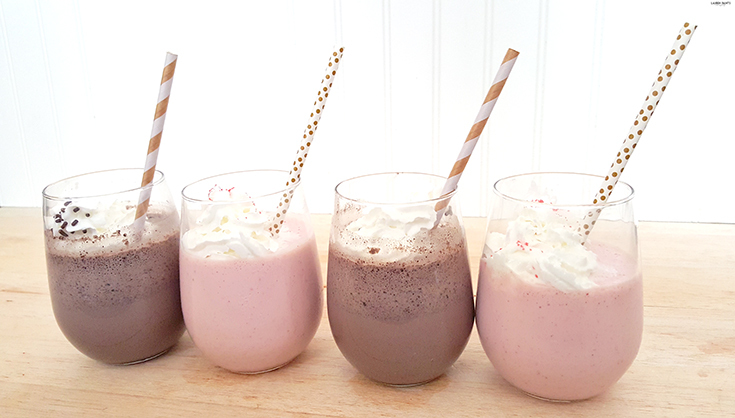 Next up, the cookies & cream cocktail - you'll actually start this recipe with the ice and cookies. Blend until they make a nice chocolate icy texture and then add in remaining ingredients, adding in mü coffeehouse cocktails Creamy Espresso Macchiato last. Top both delicious cocktails with whipped cream & sprinkles and your drinks are ready to serve! 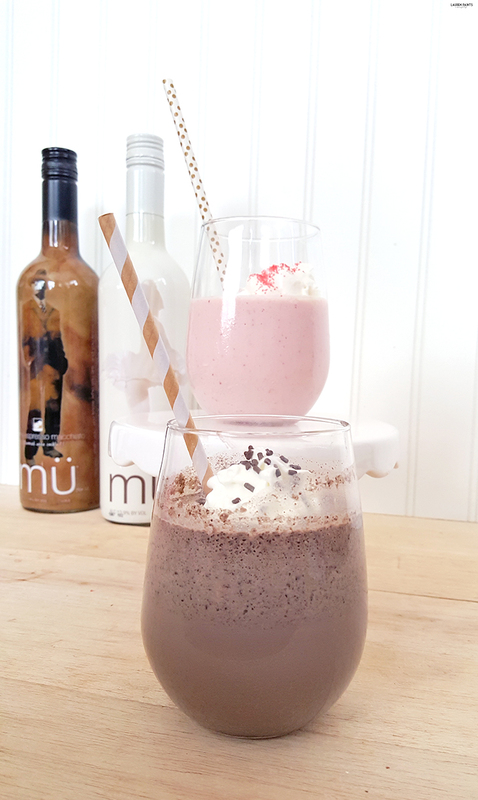 That's why I love mü coffeehouse cocktails so much, it's so easy to transform your kitchen into a coffeehouse bar with just a flick of the wrist, a blender, and some ice! With a variety of delicious flavors and a $2 coupon hanging from some lucky bottles in Publix & other retailers, there are so many drinks waiting to be served and sipped this winter! 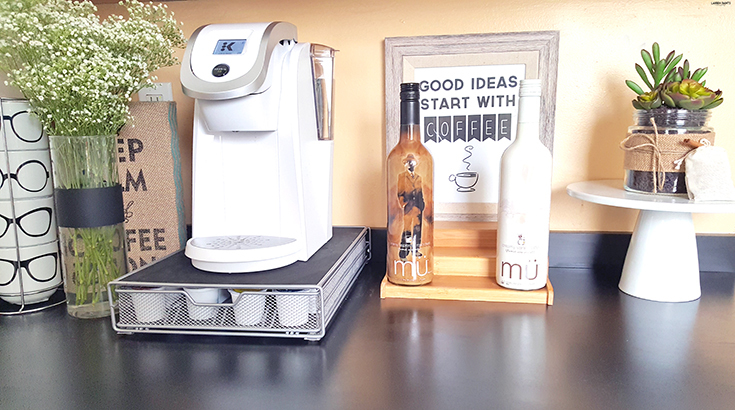 Plus, you may have noticed my awesome new wall decor in the background; I think it really adds to the vibe and with this super cute coffee-inspired FREE printable, you can transform your house into a coffeehouse too. 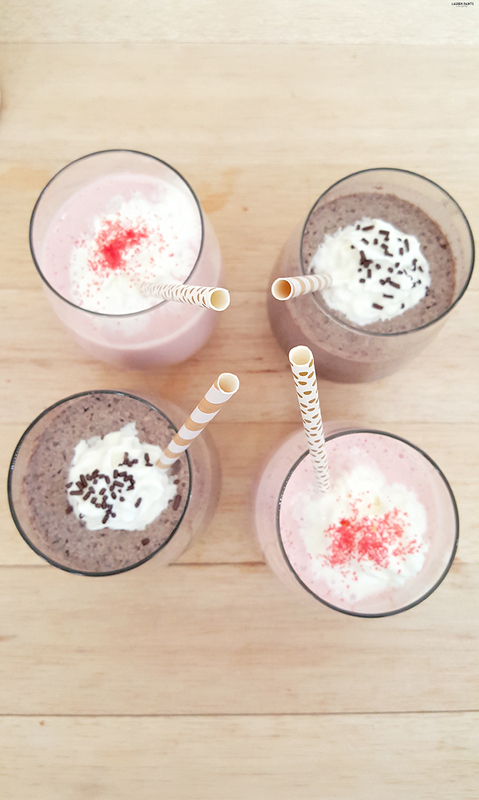 So now that I've shared TWO delicious recipes and one adorable free printable, I'd love to hear what kind of concoctions and cocktails you want to add mü coffeehouse cocktails into? Tell me how you want your coffee break to meet your happy hour in the comments below!